What was it that attracted you to NVC? 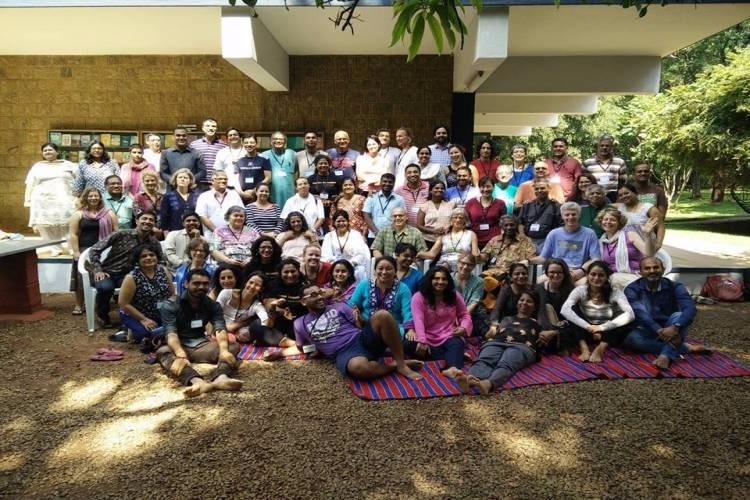 The first time I walked into an NVC training facilitated by Aniruddha, I understood that everyone has feelings and needs just like I do, at the same time anger or hurt arises when these needs are not fulfilled. Our emotions are actually reflections of our needs. It was this realisation, coming through NVC, that helped me connect with myself and look at others in a different way. I got insights into the pain that could be caused to others whenever I acted violently towards them Like if I’m not getting my father’s love, I feel angry. If I’m not getting a girl’s love, in order to get it I’m doing different things that are violent. Now that I look back at my past, I’ve realised that I had been burying my needs inside me, but the pressure got to me and resulted in my aggressive nature. I didn’t get a lot of things in my childhood, which everyone should. As a child, I didn’t get my father’s love. He used to beat my mother. This violence that I repeatedly saw impacted me, made me resentful, and at times aggressive. Yes, and now I try to understand people too. When, in a conflict now, I check with myself what are my needs, and those of the person in front me. What were the challenges and support you received in your NVC journey ? After I started practicing NVC, making changes in my behavior was challenging. My earlier pattern was to get angry when I failed to understand people. I would get very upset, and sometimes also beat myself up. Sometimes I would hurt myself in my attempt to control my anger and not hurt the other person. Initially it was very difficult for me to pay attention to my own feelings, and if I am feeling angry, then how could I control it or bring it down? When now when you have doubts, and you’re not able to be who you want to be, how do you deal with these experiences? I feel guilt, shame, I experience a disconnection in the relationships, when we’re unable to communicate, during a situation of conflict. In the past though, before NVC I would’ve had an indifferent attitude, if I wanted something, that’s it. I wouldn’t really care about anyone else, just do things my way, whatever they may be Now though, I try to work internally, dig deeper into met and unmet needs, and focus on the challenges we’re facing, rather than just judging and blaming.Even in the interactions we have in AhimsaGram, few times when I was triggered and raised my voice with you, I remember you trying to understand where I was coming from, you reflected my statement, empathised and at times, instead of just blasting your point, you even expressed to me that you want to be heard too. That gave me some empathy and I was inspired by your skill and capacity to be grounded in such a difficult moment.I feel since starting NVC practice, my ability to hold understanding for other people has gone up. I would rate it at 7 out of 10. Now if I feel angry, instead of bursting out directly, I find it possible to first consider the needs and feelings of the other person, and my own, and then state my request. But if I can’t compose the request that meets the needs of the situation, then my anger starts growing. Managing my anger is still a huge challenge in my life. But I’m working on bridging the gap between who I am, and who I want to be. Where would you like to take your NVC journey in the future? why NVC continues to hold me.? I had been living a life of no dreams and aims, no sense of direction as to where I was going, but after attending NVC trainings for a few years I realised how beneficial it would be to share NVC with my Marathi community. I became aware of the violence that was building up when I was doing a job I didn’t enjoy and how I was moved enough to take a step.I want to learn NVC, get certification, take it to the Marathi community. At this point, for the most part I feel that I am okay with whatever is happening. In a community, fights and resolutions are both necessary. I would like a few small changes in a few areas. I find that I am needing more understanding between community members than what is currently there. I feel the gap in understanding needs to be reduced. I have received love, the trust, the sense of belonging… these are the things that keep me connected to NVC. I just live in that flow, and want to move with it. The way my life has changed, in the last 8 years, the way I have learnt self-control and the way I have learnt to connect with others, all this is the gift of NVC. It has connected me with myself. My dreams are all about taking NVC forward and I live Shammi’s dream of having one million NVC trainers in India in ten years. We AhimsaGram members are living this dream and helping Shammi fulfill it…. and yes, we will surely do it. I envision a world where we cultivate the willingness and skills to work together in collaboration, attend to all of our needs and resolve our differences peacefully. I feel driven to contribute to social change through holding and supporting people to explore and expand beliefs and relationship dynamics towards living in abundance and nonviolence. Further, I intend to extend my work exploring ways in which the principles of Nonviolent Communication can support connection with our natural and built environments, towards living in symbiotic relationship with the Earth. In total this training, including travel and accommodation will cost 65,000 which I have until the end of August to raise. Contributions towards this of any amount are greatly appreciated. If monetary donation is not mutually supportive for you, it would also feed my inspiration, and connection with you to hear what needs it meets to not donate, and how you would like NVC community to support you? Your share could be as good as a donation for bhushan patil! Not everyone can afford to take care of their loved ones. bhushan patil's life can only be saved by donations made by kind people like you.